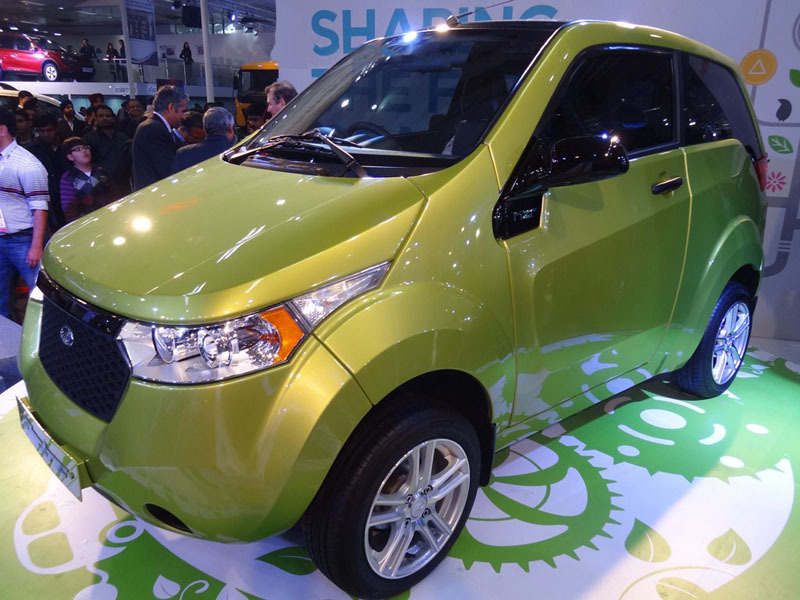 After buying out 55% stake in the erstwhile Reva Electric Car Company, the new company, now called Mahindra Reva electric Vehices Private Limited, today unveiled their first product at the Auto expo 2012, the Reva NXR. Analysts feel that the Reva NXR could carve a niche out for itself in the Indian auto market because of the rising fuel prices in the country. The Reva NXR fully-electric car is powered by an electric motor. The power comes from lithium-ion batteries which gives the Reva a top speed of 104kmph and a range of 160 km on a single charge of its batteries. According to Mahindra, the Reva is also economical since it will drastically bring down the cost of running and maintaining a car. According to analysis of the company, a trip from Connaught Place in Delhi to the IGI Airport in this two-door hatchback will cost only around Rs.10, while in gas driven vehicle the cost will be around Rs.300.